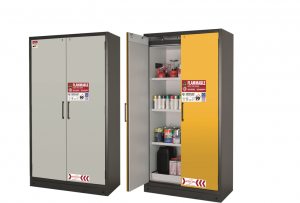 Which model of flammable storage cabinet for high risk areas do you need? 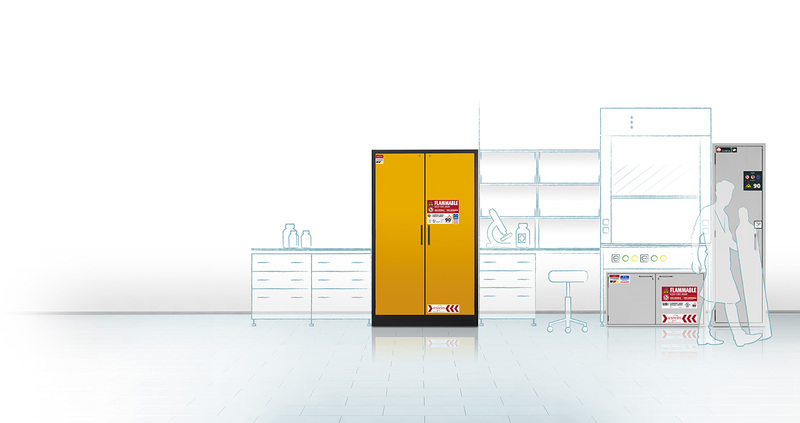 Here you can find basic brief information for product orientation: you will be able to quickly find the right safety storage cabinet category for storage of your hazardous materials. 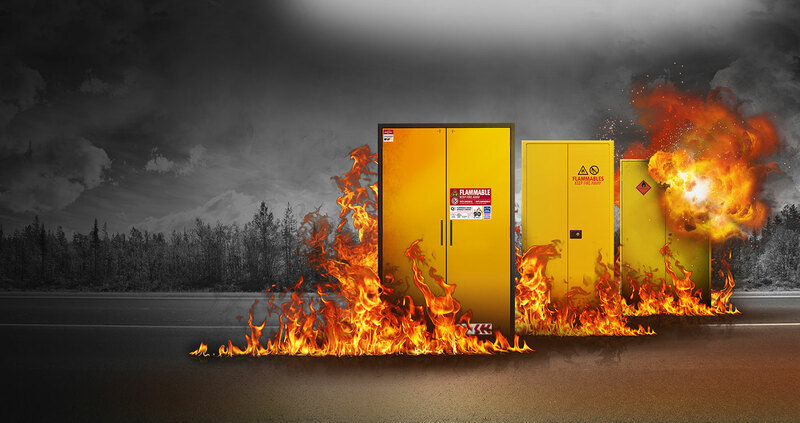 Extra robust and durable: Flammable storage cabinets for high risk areas with extra sturdy construction for the safe storage of flammable hazardous substances. Free standing units with integrated transport base, choice of two door colours and cylinder lock with locking status indicator. 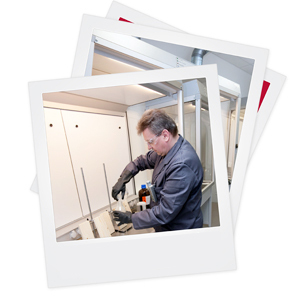 Safety storage under counter cabintes for the storage of flammable hazardous substances in high risk areas – for integration into fume hoods or work benches! Large product range for a variety of applications. Catalogs & brochures with many novelties – for browsing online, downloading or ordering for free. 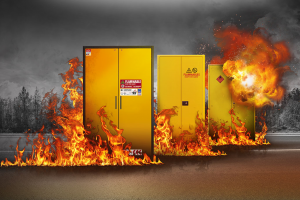 Do you know how your flammable storage cabinet will perform in a fire? 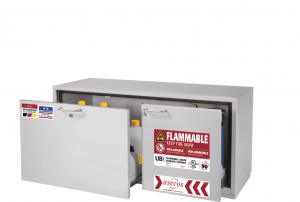 How safe is your flammable safety storage cabinet? Are you able to provide the maximum of safety for you and your environment in the event of a fire? 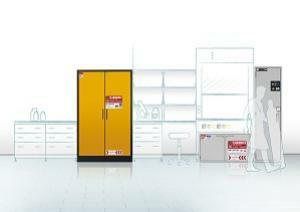 asecos compared the performance of the three most common types of safety storage cabinets. asecos take great pride in assisting to create new safety standards and ultimately reducing the number and severity of accidents, through the use of approved asecos products. The best possible protection of humankind and the environment is our number one priority. 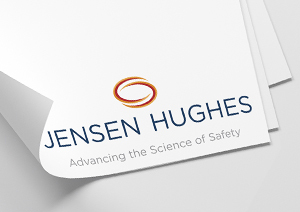 Read more about Jensen Hughes' study on the impact of enhanced flammable cabinets on hazardous material storage! 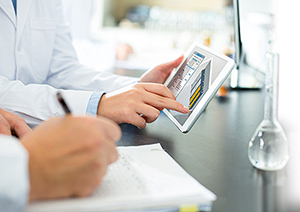 Expert information: Integrating hazardous materials storage into the modern-day laboratory! 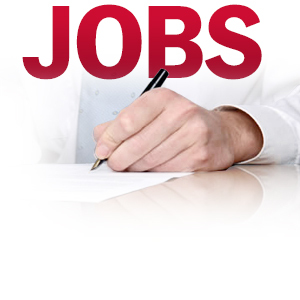 We offer you comprehensive services and valuable expert information to design the safest possible workplace. 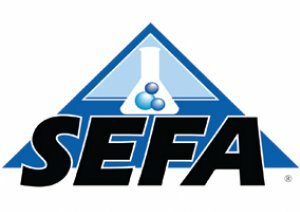 Our goal is the safe storage of hazardous substances in our day-to-day working life. 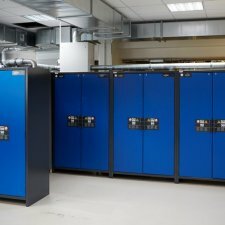 Safety storage cabinets with extreme fire performance for high risk areas are our prime focus: We offer the appropriate fire resistant cabinets – free standing units or under counter units – across a range of sectors such as pharmaceutical, academia, industrial and agricultural, providing safe and legally compliant storage. 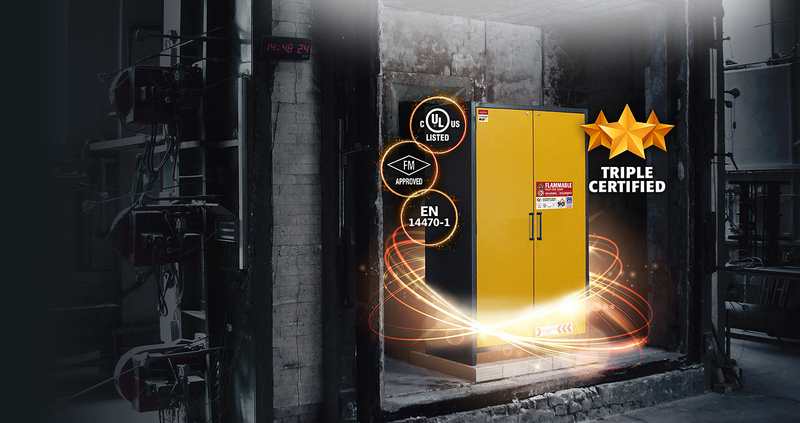 All products in our range of flammable storage cabinets are also GS-tested and guarantee compliance with the requirements of EN 14470-1. asecos is certified to EN ISO 9001 and EN ISO 14001. Depending on the model, the cabinets are additionally tested in accordance with FM standard 6050 and UL/ULC standard 1275. Our triple certified mobile store rooms may qualify as mobile high hazard room or may allow increase of maximum allowable quantities (subject to local AHJ approval). Furnace tested (type-tested) fire resistance of 90 minutes (type 90) or 30 minutes (type 30). Compliant to OSHA and NFPA. CE conformity. 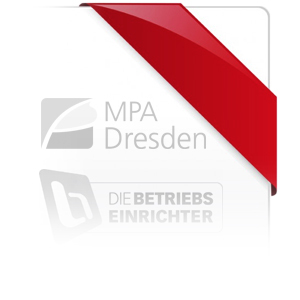 First-class quality Made in Germany. NFPA 30, Flammable and Combustible Liquids Code, published by the National Fire Protection Association, provides safeguards to reduce the hazards associated with the storage, handling and use of flammable and combustible liquids. 08 Feb 2019 How safe is your flammable safety storage cabinet? Could you evacuate your facility in less than 10 minutes... how about 90 minutes? Are you able to provide the maximum of safety for you and your environment in the event of a fire? asecos compared the performance of the three most common types of safety storage cabinets! 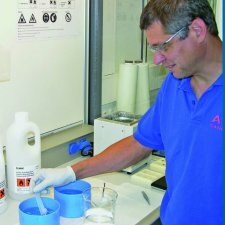 Measuring experts from Endress+Hauser require the asecos hazardous material workplace to manufacture products for the flow rate measurement of fluids, gases and vapors. The employees are pleased with the positive change since the use of the hazardous material workplace: the unpleasant smell was considerably reduced. 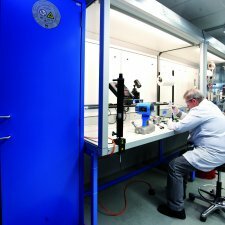 "And as far as the price is concerned, the purchase was an interesting alternative to a conventional extraction system", says Andreas Suter, who also praises the cooperation with the asecos technicians and the comprehensive 24-hour service that asecos offers for spare parts or repairs. The hazardous material workplace at the Dornbracht company makes a substantial contribution to a future-oriented and modular production facility. 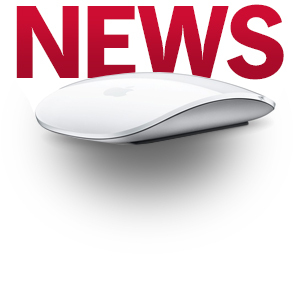 “There is no off-the-shelf production equipment or device for this”, as Sonja Tonat emphasizes – and asecos fulfilled the high demands of the quality manufacturer with regard to promptness, availability and requirement-oriented implementation. Breaking through the hall ceiling was to be strictly avoided, for example: This was solved by a specially designed hazardous material workplace that can be freely moved within the room. 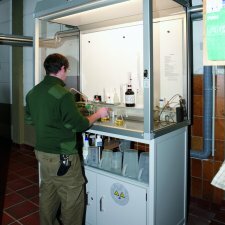 The municipal archive Bochum acquired an asecos hazardous material workplace for restoration work requiring the use of solvents. 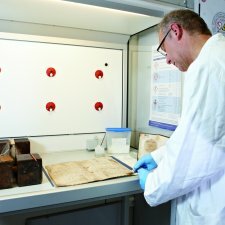 Restorer Günter Reimann does not like to look back on the time before the acquisition of the hazardous material workplace – because there is so much work that involves the use of chemicals posing a potential health risk. Without the extraction system, highly-flammable dangerous gas-air mixtures that can even damage the brain would possibly remain in the room for a long time. 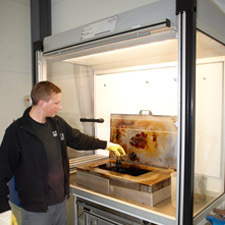 So the hazardous material workplace also protects the health of the restorers in Bochum. CANBERRA develops, produces and sells radiation measurement technology worldwide. 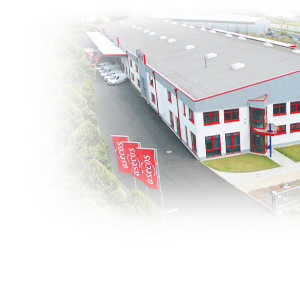 The company has installed asecos hazardous material workplaces for cleaning work with flammable liquids. "Not only the bio-monitoring, but also the occupational hygiene measurements were able to prove that the exposure to which the employees are subjected is below the value requiring action, i.e. 10 percent of the limit value applicable in Belgium. Working conditions have noticeably improved", says Steven Majewski looking back on the project with satisfaction. "We now have a compact solution ideally tailored to all our needs: A hazardous material workplace that reliably extracts all vapours – and there is sufficient lighting, enough sockets, cold and hot water connection", Martin B. praises. At the Innovation Center of PolyOne, the experts are experimenting on new plastic highlights for the market. 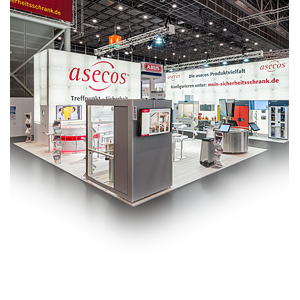 The also unique 360° rental concept from asecos for the storage of flammable hazardous materials is deal for this purpose. 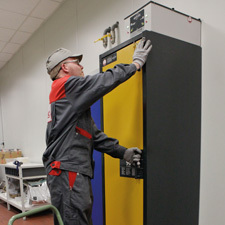 The flexibility and reliable automatically scheduled service convinced us to hire a safety storage cabinet. “This cooperation is running smoothly, and finally, the type and duration of use can only be roughly estimated in advance", states Christian Busch. 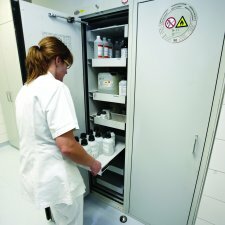 The pathological department of the Klinikum Fulda has decided on the use of asecos hazardous material workplaces and hazardous material cabinets for the preparation of tissue samples and for the storage of hazardous material such as xylene and formalin, for example. Prof. Arps particularly praises the technically sophisticated fresh air management, the high level of fire protection (F 90) and the practical folding doors. 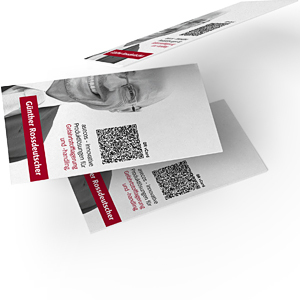 All in all we now not only have a highly efficient employee protection system, but also a “high-security, modular overall system that is safe for maintenance and operation”, Prof. Arps explains. “We then only need a lifting cart to move the asecos hazardous material cabinets. They can be very easily connected to our central extraction system at any other location in the room by means of a spiral duct. This saves us a great deal of effort and also the approval procedures that would become necessary for building a new paint room”, Ernst Ludwig Wenzelmann explains. 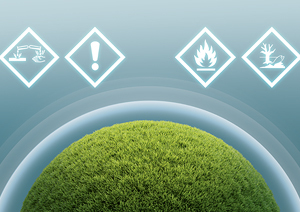 Safety and Environmental Protection Inc.